"The secret of success is constancy of purpose." 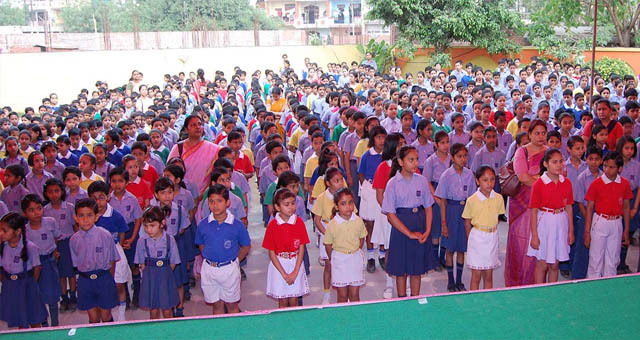 VPS has always endeavored to provide quality education and a stress free environment to its students. We are utmost dedication, devotion and a dutiful attitude of the management, teachers and the taught have helped the school to achieve its goals. The school has slowly and steadily reached the zenith and has touched the pinnacle of success today. The latest techniques and innovations introduced from time to time are preparing our students to meet the challenges globally in the field of the education. The school has also been working on the holistic development of the students, by providing them platforms to explore and tap their talents and potential. VPS is a co-educational school, with one thousands of students on its rolls. The school is a path breaker in the pursuit of excellence. To sum up, the mission of VPS is "to open doors and open minds" and prepare the ground for the future of the nation..